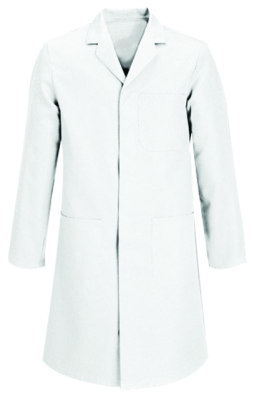 Lab Coat (Std Neck, White) - Industrial Plasters Ltd.
White poly/cotton full length (43"/110cm approx.) 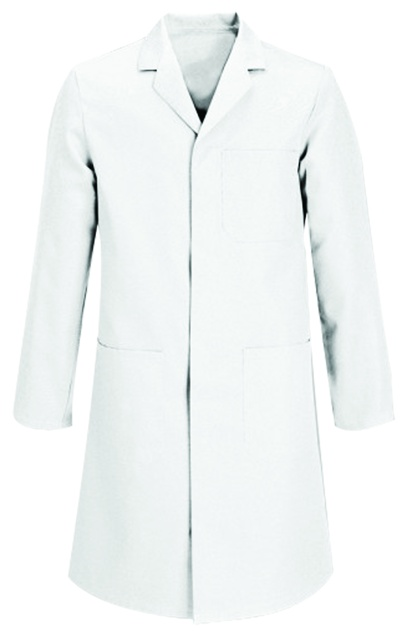 coat with stud fastenings. Standard collar, suitable for wearing over a tie. Has 2 hip pockets and single breast pocket.